Unbeatable rates, beautiful views, cozy family-ready retreat! Enjoy breathtaking mountain views from each room in this comfortable family condo. Our condo is ideally located within walking distance to downtown Winter Park and free shuttle bus pick up right out front for Winter Park Resort. Need help with lift tickets? All bedrooms have a balcony. The master BR has a new, plush, king mattress, full private bath, & 26' LCD HD TV w/DVD. The 2nd BR has a twin over full bunk, plus twin trundle pull out (sleeps 4), new mattresses, a 26' LCD HD TV w/DVD. We have many amenities all inside one building: indoor pool, hot tubs, workout room, video game room, pool, foosball, basketball pop-a-shot, and laundry room. There is underground parking (no cleaning off the car in the AM!) & free ski locker. Included use of local clubhouse membership for outdoor swimming, tennis, racquetball, basketball and workout facilities. Convenient to downtown Winter Park activities and free ski shuttle picks up right in front to take you to the resort! Indoor pool & 2 hot tubs. Club Meadowridge membership passes provided to renters. You can see Winter Park slopes while laying in bed in the Master Suite! On first floor in building. Covered parking w/free ski locker. Well stocked with all kitchen utensils, salt, pepper, sugar, flour, cooking spices/oils provided. Private balcony off each bedroom, plus larger one off the living room w/view of Winter Park ski area. Convenient condo with most everything you need for a few days on the slopes! Covered parking and ski locker were appreciated and bus picks up within a short walk. Good amenities, condo was a bit of a let down. We just returned from Winter Park and stayed in this condo for 3 days with our 3 children. We didn't have many 2 bedroom options over spring break and this one fit our price point. The complex was great, underground parking and ski lockers, and we loved the pool/hot tub. The condo was spacious and enough room to fit our family but it felt a little unkempt. Each light fixture had a bulb out, the carpets were dusty and dirty, and the couch, love seat, and arm chair were falling apart. There was too much furniture/big items in each room.... multiple chairs, floor lamps, fans, etc. Each of the power outlets had about 10 things plugged into them, it was very haphazard. The rate was expensive for the state of the condo. It was nice they had all the kitchen items we needed and lots of board games. I don't recommend staying here if you have babies... too many dangers with wires/cords/etc and just too much stuff in the condo. We paid an expensive cleaning fee but felt like the condo was not clean when we got there. We just returned from Winter Park and had a fantastic time! Marcie was so easy to work with and the communication was great! The location was perfect as we were able to walk out in front of the complex to catch the shuttle which was never crowded (even for President's Day weekend! Having the ski lockers in the garage was also very convenient. The kitchen was stocked with everything we could possibly need. We will definitely stay here again! A couple of side notes: Yes you do have to walk up 2 flights of stairs (it's not a big deal unless you have problems with walking and require an elevator then this isn't the place for you). We grabbed the luggage cart just inside the doors from the garage and loaded that up and wheeled it right to the bottom of the stairs. Super easy. We just took our time since we were adjusting to the altitude the first couple of days . We came from sea level. Also, when we got there the condo was super hot. We figured out that we just needed to turn off all of the heat at night in order to sleep better and we really only used the gas fireplace in the morning to warm the place up a bit. You really don't need the electric wall heaters at all. I think being on the the 3rd floor had all of the heat from the lower floors. The condo was clean and well-maintained. The 2 hot tubs were great after a day of skiing. The owner, Marcie, was very prompt and thorough in answering any questions we had. It was a big plus to have the facility, Silverado II, be one of the stops on the free shuttle which we could take to the base of the ski resort, as well as to Cooper Creek - among other locations. We definitely would rent this facility if we stay in Winter Park again. Nice place for the money. We would definitely stay again! Cannot say anything bad. It was a very cozy two bedroom two bath. Great patio to relax on. There are also two other separate patio's off each bedroom. Great place for coffee in the morning. Having the wifi was a big plus not having to use our data plans. Having the garage parking was a huge plus as well. Loved it, like I said I would stay again. it's quite a hike from parking to the unit. the unit was clean but ran out of toilet paper. the complex water was turned off the day we were leaving, we hadn't been notified this would happen but luckily we left before this would be an issue. while ok, overall this unit was not all that special and would rather have had all the amenities of a hotel as we were required to strip the beds, haul out our trash and load any dirty dishes into the dishwasher. The trash bin where we were to put our trash was overflowing with trash on the floor. also, the sound from taking a shower was extremely loud. In addition, an issue we had with VRBO is that when booking the unit, after we had been quoted our "final price", we were required to either pay for damage insurance or pay a huge deposit - that was "not guaranteed" to be refundable - what kind of choice is that??. The unit sounded really special so we opted to pay the insurance but we won't be booking through VRBO again. 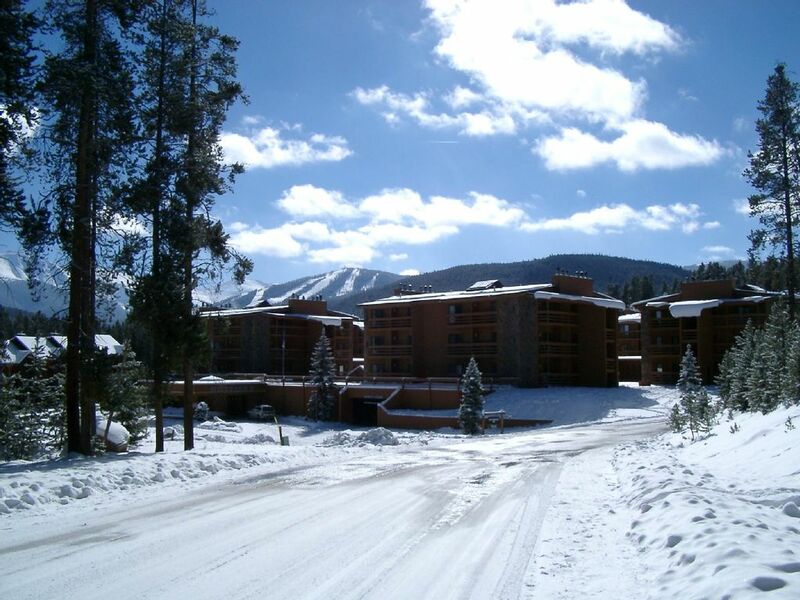 Ski: Winter Park and Mary Jane ski area's are 5-10 minutes away by car, 10-15 minutes away by free shuttle that picks you up at the front door every 30 min.